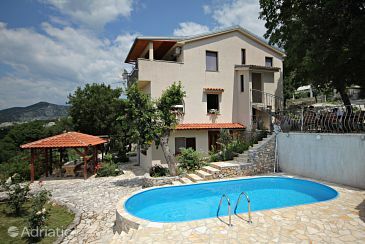 Last minute offers on Crikvenica apartments, villas and hotels. Book your accommodation in Crikvenica now and get up to 30% discount. Crikvenica is a small town with a hundred-year-old tourist heritage, positioned in the Kvarner gulf of the Adriatic Sea and is these days one of the top tourist spots in the Croatia. Travelers got attracted to Crikvenica as early as 1890, when they began to explore the town on their trips from Opatija. Crikvenica provides a range of walking and hunting possibilities. A number of hotels, apartments, suites, last minute deals, the coastline with lengthy and highly arranged public beaches, sports activities and fun programs comply with a century-old tradition of tourism in Crikvenica. The town is in fact a riviera with linked tourist settlements; Crikvenica, Selce, Dramalj and Jadranovo. Crikvenica is bordered by quite interesting spots for visitors, close to attractive Kvarner islands like Krk and Rab. It is also close to National park Plitvice Lakes and North Velebit. A number of events and manifestations occur during the course of summer season, in addition to performances, fashion shows, exhibitions, old-fashioned festivals. The entertainment begins in the morning hours on one of several stunning sandy beaches and keeps on in numerous nightclubs. Sports and active holiday fans can take pleasure in biking, swimming, mini golf, wind-surfing, football, bowling, climbing, handball, basketball, beach volleyball, jet-ski, paragliding, scuba diving and numerous additional adventures. Searching for a last minute holiday in Crikvenica ? Well search no more, we have prepared all of our great late holiday discounts leaving in the following months to assist you find the ideal last minute holiday deal. Air-conditioned accommodation, max 6 persons, magnificent sea views town of Crikvenica price per day from £ 44 If you are think up about ideal family vacation and trouble-free accommodation then you really should pick this apartment. Trendy apartment is positioned only 700 m from the beach. Entertainment and Outdoor activities: TV, Satellite television, CD player, radio. Distance to the train: 25 km. Distance to the beach: 700 m. Distance to the ferryboat: 25 km. Apartment near the beach, max 4 persons, great guest reviews town of Crikvenica price per day from € 66 Apartment is located in the center of Crikvenica. Because of its specific location, this apartment is really attractive. Sightseeing will be easily accessible and all tourist attractions you can check out on foot. Entertainment and Outdoor activities: outdoor grill, Satellite television. Distance to the beach: 100 m. Distance to the restaurant: 200 m. Distance to the marketplace: 200 m.
Cheap accommodation Crikvenica, max 6 persons, recommended by travellers ! town of Crikvenica price per day from € 79 Trendy apartment will provide all the things you need for your perfect vacation. Head over to the many historic and cultural sites and take memories from holidays as beautiful souvenirs. General details: barbecue, parking, outdoor shower. Entertainment and Sport: outdoor grill, Satellite television. 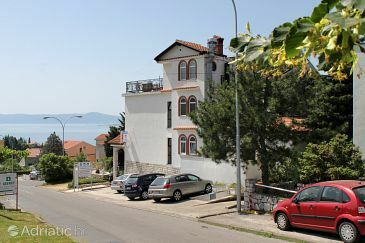 Apartment, close to the center of town, internet connection town of Crikvenica price per day from € 64 During the course of your trip to Croatia, remember to check out the city of Crikvenica, which will shock you with its various cultural and historical attractions. While there, book this perfect accommodation that overlooks the place and exquisite Adriatic Sea and relax in its comfy rooms equipped with all needed amenities. Kitchen details: microwave, stove. Distance to the shopping center: 550 m. Distance to the beach: 550 m. Distance to the restaurant: 400 m.
Apartment near the beach, 49 square meters, internet connection town of Crikvenica price per day from € 53 All you require for an excellent holiday break, you will find in the high-quality accommodation which is positioned in one of the most lovely cities in Kvarner - Crikvenica. General details: barbecue, parking. Entertainment and Sport: outdoor grill, Satellite television. 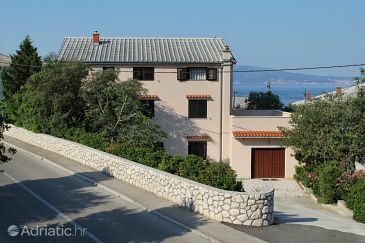 Paradise Farm town of Crikvenica price per day from € 178 Heaven Farm is a Detached vacation home situated in Crikvenica in the Primorsko-Goranska županija Region and is 29 km from Opatija. 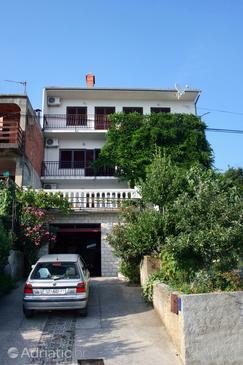 The property is 19 km from Rijeka and features views of the sea. Gratis wireless internet is available throughout the property and free car parking is available on site. Composed of 5 bedrooms and 4 restrooms in total, this villa is equipped with a lcd tv with cable channels. Other amenities at Paradise Farm include a seasonal swimming pool. 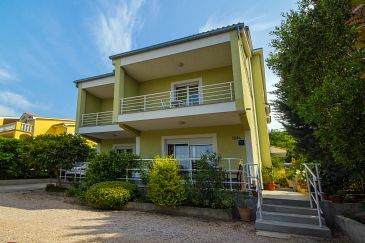 Rural Villas Crikvenica town of Crikvenica price per day from € 94 Please inform Suburban Vilas Crikvenica in advance of your expected arrival time. You can use the Special Requests box when booking, or contact the property directly with the contact details provided in your confirmation.